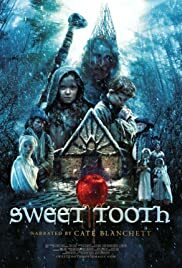 Set in 1780, Sweet Tooth is a dark and magical fairy tale film inspired by the classic story of Hansel and Gretel by the Brothers Grimm, but it is the untold story of the wicked witch and her infamous gingerbread house. Once upon a time, there were a brother and a sister called Hansel and Gretel. The children stumbled through the dark woods, lost and afraid until they came upon a marvellous house of sugar and spice and everything nice. That is the fairy tale we know. 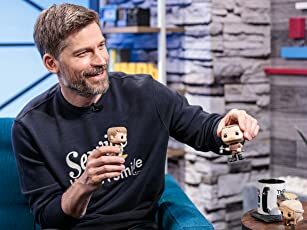 But there are always two sides to every story. Many moons earlier, a little girl is born to a penniless baker's maid - a baby blinded by the Red Devil's disease. Together with her little brother, she must navigate a cold world and stand up to the hardened townsfolk who dislike them. But, as time passes, the children have fewer and fewer places left to hide and must seek refuge in the forest. Out there, it will be up to them to find a home where no one will ever find them - Until, one day, there would come a brother and a sister: Hansel and Gretel.